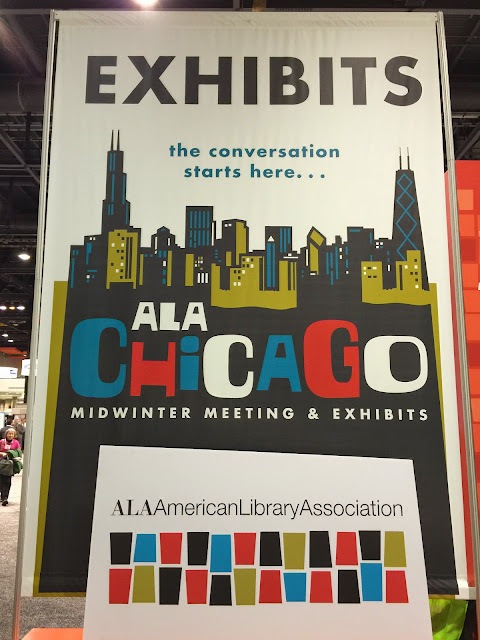 So, I made a last minute decision this weekend and attended the 2015 ALA Midwinter Meeting Exhibits. I had planned to only go on Saturday, but the Super Bowl Blizzard thought differently, so if I was going to be stuck in Chicago, why not make the best of it and go on Sunday too, right?! I got to meet a slew of authors over the two days, and picked up a fair number of books for myself and friends. (How many books you ask? 153. Don't judge me.) I'll have a complete list of the books up this weekend.